Is someone you love undergoing a lot of stress? Are you yourself struggling with emotional pain, and mixed-up thoughts or actions you don't like? I can help! I enjoy working with children, families and adults, and helping people who are unhappy with the feelings, thoughts, and relationships causing them distress. My special training is a key to helping you. AYCMARC for busy and nocturnal people. 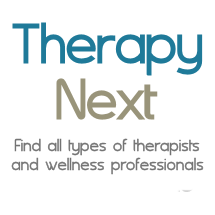 Engaging in therapy for anxiety can be a scary process, so it is helpful to know what therapy will be like before you start. I am a Behaviorist in the Psychology world. This does not mean that I ignore thoughts and emotions, but rather I focus on the use of evidence-based, behavioral interventions to effectively treat anxiety and other mental health issues. Grief Counseling & Therapy Are you experiencing intense grief that you can't "move on" from? Are you having difficulty sleeping, staying focused, or enjoying people and activities? Do you feel less sure of yourself, overwhelmed or numb? These are, in fact, all common responses to grief. When a fundamental person to your life goes away, you can't stay the same. Reflective Wellness is a unique practice. We not only provide a well rounded team of clinicians we also have an acupuncturist, a massage therapist and a yoga teacher. Twice a month we offer group acupuncture which allows many clients to experience the benefit for a low cost. We also offer several yoga classes each week. Massage therapy is by appointment. Jungian & Depth Psychotherapy with Melissa LaFlamme, M.A. You want to do life well, we do too. Laura Brodie, MA, A.T.R., L.P.C. Helping People Reduce Symptoms of OCD. Helping people reduce symptoms of Obsessive-Compulsive Disorder and other anxiety problems. I meet with people for office appointments, and also in their homes and communities as needed for effective treatment. Treatment for OCD works; most people gain some relief from their symptoms. Please contact me if you have questions for yourself or someone you know. Depression, Couples Therapy, Anxiety. Lakewood, Co. Looking for a Counselor Who Is a Great Fit for You? Possible. Let Me Help You Achieve These Goals. Years Experience Helping People Overcome Life Challenges.